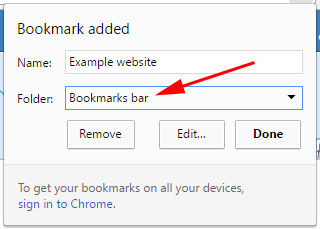 Add bookmarks to the Bookmarks bar that appears when you open a new tab. 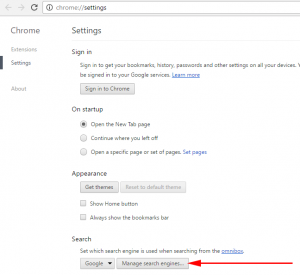 Add shortcuts to Chrome’s address bar, letting you access websites with fewer keystrokes. 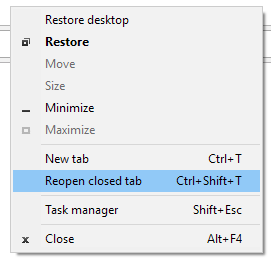 Re-open closed tabs with Crtl + Shift + T.
Click on the Star icon to add a new bookmark. Click Done. The new bookmark will appear whenever you open a new tab (Crtl + T). 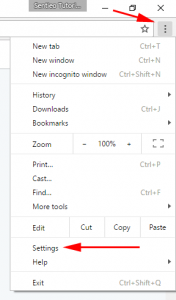 You can add shortcuts so that Chrome will search a particular website (instead of Google). For example, suppose that you constantly search Twitter to see what people you follow are saying about a particular stock like $AAPL. 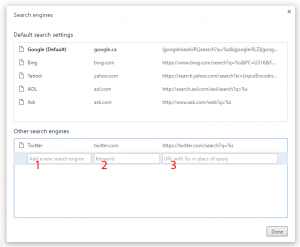 Here’s how you can add that particular Twitter search to Chrome. First, go into Chrome’s settings. Type in the keyword that will trigger your shortcut. 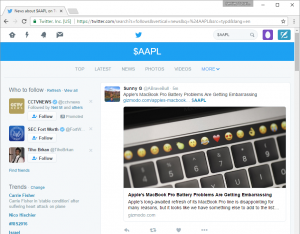 If your keyword is twitter, then typing in twitter $AAPL in the address bar will perform a Twitter search for $AAPL. Copy and paste that URL (with %s) into the textbox. Then click Done. To find obscure EDGAR filings (e.g. old companies, bankruptcies, securitization trusts, etc. ), you will need to find the correct EDGAR entity. Searching EDGAR based on the “company” name is a good way to find the correct entity. Search Twitter, but limited to people you follow. Jump to specific parts of Sentieo. This website quickly shows the history of a stock’s borrowing costs. Useful for short selling. The Federal Aviation Administration’s website allows you to search aircraft registrations for their owner’s name. This could be used to identify all of the aircraft owned by a corporation. This may shed some light on how a company decides to spend its shareholder dollars. Then, you can search the company’s SEC filings (e.g. with Sentieo’s Document Search) to see if those corporate aircraft were deemed material and have been disclosed in the proxy. Various websites will let you pull up the domain registration records for a particular domain name. This is occasionally useful for short selling if you think that somebody may be lying about ownership of a company. Have you accidentally ever closed a tab that you didn’t want to close? Hit Crtl + Shift T to re-open that tab. This will even work on multiple tabs that you have accidentally closed. We hope that these tips help you save time! Are You Tracking 2016’s Most Influential FinTweeters?